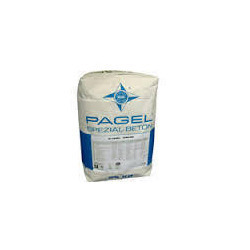 Our range of services include pagel v1 rapid setting cement grout & mortar. Our esteemed clients can avail from us an exclusive range of Rapid Setting Cement Grout and Mortar (PAGEL V1 / V12 / V50). This cement grout is used for injection grouting. Cement Grout to arrest leakage has been an age old practice. The offered range is available in a fine powder which forms neat slurry when mixed with water. If concretes porous or honey combed the cement slurry which is used for injection grouting partly blocks the void sand capillary. Moreover, clients can get the provided products from us at very affordable prices. Looking for Rapid Setting Cement Grout and Mortar ?